The Xbox One has radically changed since its launch in November last year. Microsoft has, to its credit, listened to fan feedback and rolled out a wealth of system updates almost every single month - refining certain features, adding completely new ones, and even ditching the bundled Kinect, something the company once claimed it would never do. But though the Xbox One is undoubtedly improved from its initial incarnation, there are still a few improvements to be made here and there before we consider Microsoft's work well and truly done. Here are fourteen changes we want to see in future updates. This is a strong contender for a system update in the not so distant future, given that it's a service that the PS4 now provides. At present, when a game launches at, say, midnight, you still need to find, purchase and download it from the Xbox Store, meaning it could be up to another hour or more before you're actually able to sit down and play the darn thing. Give us the option to purchase and pre-load a game prior to launch, Microsoft, and then it's simply a matter of unlocking it once it officially becomes available. This is something that you can currently do on PC via Steam; buy a game on a friend's behalf so that it appears, ready to download, on their Steam profile. Earlier this year, Xbox boss Phil Spencer did hint that game gifting could become a reality soon. "We believe in a digital future on our box," Spencer said in an interview with Gamespot. "On the digital space, and the things that we've talked about, what that opens up: like, we understand what games you own and who you are and how you move around and who you might want to loan rights to your games or gift your games to. We totally believe in that future. And any other marketplace you play in, these kind of mechanisms are out there." The days of worrying over what to get your mates for their birthday may finally be at an end. BBC iPlayer is still missing from the Xbox One's app line-up, despite being available on the Xbox 360. It's very likely that the addition of a full range of Kinect voice commands is responsible for the hold up, and that this beloved British app, and more besides, will be added in time. It's not just a UK problem though, Xbox Ones in the US are also affected by absent entertainment apps, with HBO Go coming soon (but too late for season four of Game of Thrones) and Showtime Anytime, ABC and more also missing. These might be coming to Xbox One later this year, but until then the console is incomplete when it comes to entertainment apps. Microsoft's Games with Gold program was, and kind of still is, a little bit underwhelming on the Xbox 360. It's generous given the fact that games offered as part of the service are fully gifted to Xbox Live Gold subscribers, and once they're downloaded they remain tied to an account regardless of whether a Gold subscription is cancelled or not. However, this also meant that games given away in the past had a capped value of around £15 or so, and as such were usually titles that were several years old. Xbox One's version of Games with Gold is more like PlayStation Plus in that it always requires you have an active membership in order to access the free titles, but these are generally of a much higher quality and some, like this month's offering of Guacamelee: Super Turbo Championship Edition, are brand new to the system. More of that, please. Complete backwards compatibility on the Xbox One is highly unlikely - at least where games running directly on the hardware rather than being streamed from a server are concerned. You'd think getting the vastly superior Xbox One to simulate an older console like the Xbox 360 would be a cakewalk, but in reality there simply isn't much CPU power available to run a virtual machine. And it isn't quite as simple as obtaining an Xbox 360 game's original source code and converting it to Xbox One, as the architecture of the two consoles is completely different. That said, streaming a back catalogue of Xbox and Xbox 360 games could be made possible through Gaikai-style game streaming, but we'll just have to wait and see. Microsoft has been slowly adding to and improving the Xbox One's social features since its launch, as many users thought that social functions like Party Chat had taken a massive step backwards from the Xbox 360's interface. It has mostly succeeded in making the Xbox One feel a little livelier and much, much friendlier with the introduction of 'real name' support, but we still miss seeing pop-ups when our friends come online, and when they start playing the same game as us. Little features like that make consoles feel connected, rather than something that exists in a bit of a vacuum. A scrolling news feed of your friend's activity right there on the home screen, instead of hidden away inside another app, would also help to make things feel much more social. Since its launch, the Xbox One has no 3D Blu-ray support and is unable to play or watch a very wide variety of video file types. The console has thankfully now added external HDD support, but at the moment it's USB 3.0 only, which means that many people will need to go out and buy a new hard drive anyway. Those who do go buy a USB 3.0 HDD will discover the HDD support at present only gives you more room to install and manage Xbox One games; it doesn't allow you to watch video files, rip CDs or listen to mp3s. Get on that, Microsoft – how else am I supposed to bore my friends senseless with a holiday picture slideshow? We get that the Xbox One's homepage design is clean and neatly falls in line with Microsoft's Windows 8 design templates, but who among us really wants that? 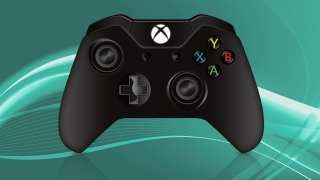 The Xbox One UI got rid of lists and the Xbox 360's Guide button in favour of Windows 8-inspired tiles that would work better with a more app-friendly interface. Again, we get that it's been done to look more like Windows 8, but the uniform black background of the Xbox One is a little bit boring. Right now, you can only personalise your home screen tiles by setting them to one of 21 colour schemes, but when it comes to the home screen background, you can only choose between black, black or black. Being able to fully take control of how our console's home screen looks would help to make each Xbox One feel more individual, more uniquely ours. One user even made a mock-up of what a personalised background might look like, and it was so good it caught the attention of Xbox boss Phil Spencer, who tweeted about how good it looked. The Xbox 360 had a great feature that allowed you to set whether you preferred to play games with inverted or not, which the console would then remember every time you loaded up a new game and would automatically pick that setting. It's sadly missing from the Xbox One, as is the ability to save the global settings for every game with the Xbox One's in-built settings. Things like screen size, analogue preference, brightness, audio levels, and more should be saved and used for everything. We shouldn't have to set the screen size for every new game we play on the same TV/console set-up – it's tedious and takes up precious time that could be spent getting straight into the game. There's even more reason to implement this feature now that a recent update allows Xbox One users to select a profile for automatic sign-in on their console, without the need for Kinect to identify you. Some might find this potential feature irritating or even intrusive. However, giving players the option to share (alright, boast about) their Achievements via social media simply makes sense in this connected age - especially when the PS4 is already allowing users to do just that with a dedicated button right there on the controller. Sure, you can record game clips and upload them to YouTube on the Xbox One, but that's a multi-step process that takes you right out of the game. Instead of just clips, how about a feature that would allow you to take a screenshot with a voice command ("Xbox, take a picture" rather than "Xbox, record that"). You could then share that picture instantly via social media synced to your Xbox Live account, without having to leave your game session? Despite owning my Xbox One for, what, nine months now, I can never ever remember whether the command to turn it on is "Xbox, on" or "Xbox, turn on." Logically, there should be some leniency here – it only makes sense that both should work. Perhaps there should be some wiggle room with certain commands, though obviously it can't be too lenient or the Xbox One would start wigging out over random words and phrases. While we're on the subject of voice commands, how about adding a few new ones? Practical ones, like "Xbox, Voice Chat Off," "Xbox, Voice Chat On," "Xbox, Eject" (Disc is ejected), "Xbox, Show Time" (temporarily display clock), "Xbox, take a picture" (takes a screenshot), or "Xbox, Find Controller" (your controllers turn on and vibrate for a few seconds). Free demos for almost every game you come across was one of the features that made the Xbox 360 such a vibrant ecosystem, and the Xbox One Store seems oddly stagnant by comparison. There are some demos out there, but the system doesn't make them at all easy to find. Make more demos available, and then make them more prominent on the store, instead of using valuable console real estate to advertise games we already own on the system. And certainly, make more demos for Kinect-based games available. Instead of ditching Kinect altogether, give us more compelling reasons to want it. What better way to do that than to show, rather than tell, with a good game demo? If you frequently move back and forth between your Xbox 360 and the Xbox One, it's mildly irritating to see a wall between the two consoles where you can't view your Xbox One games and achievements on the 360. It's not a deal-breaker, sure, but it seems like a bit of a wasted opportunity, and a source of needless stress for those players who take pride in their gamerscore. It's not likely to be at the top of Microsoft's to-do list any time soon, admittedly, but it's something to bear in mind all the same. Just how good is the Xbox One?